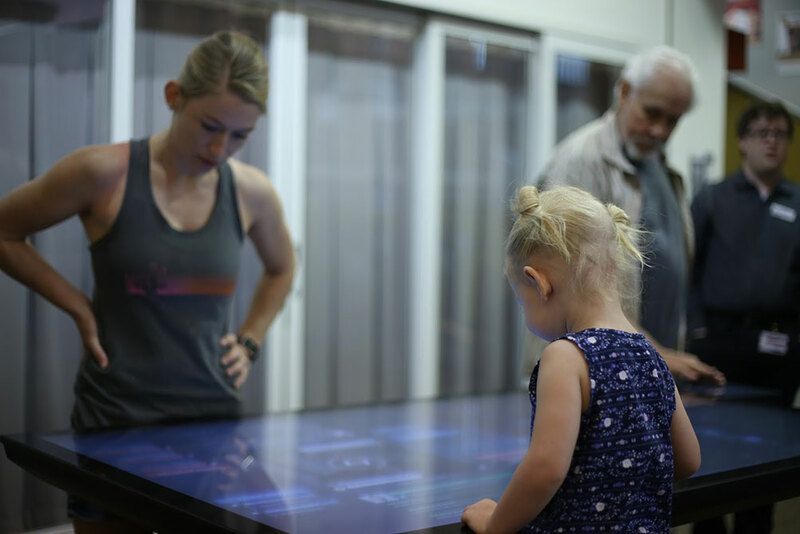 Ideum’s collaboration with XPRIZE and the Qualcomm Foundation reached a milestone in August when we tested a new exhibit at Explora, Albuquerque’s hands-on science center. 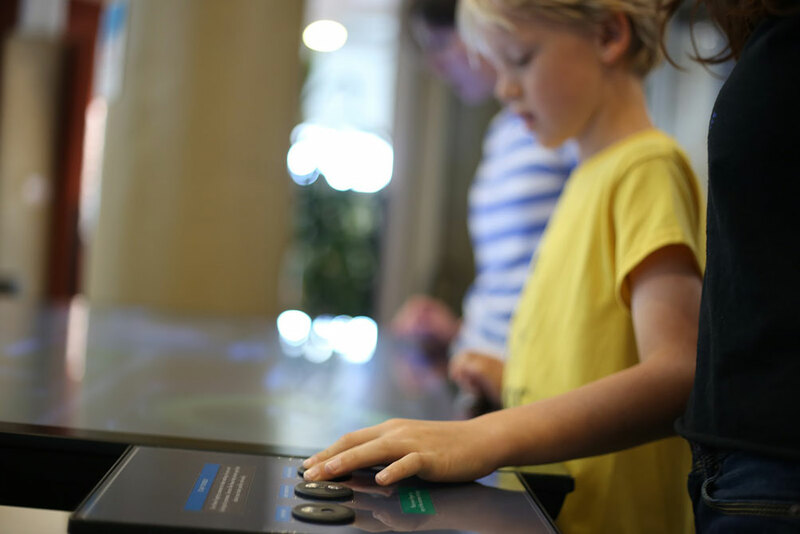 This multi-activity touch table experience is designed to highlight the most exciting developments in diagnostic technologies—advances that may soon lead to easy-to-use scanning tools for people without easy access to doctors or hospitals. More broadly, the experience focuses on inspiring young people’s curiosity about STEM careers, especially in the biomedical sciences. The exhibit was originally inspired by Qualcomm Tricorder XPRIZE, which challenged teams from around the world to design a feasible medical “tricorder” like that used in the classic television series Star Trek. But what was pure fantasy in the late 1960s is much closer to reality today. New scanning technologies, coupled with increasing miniaturization and processing power, mean that non-invasive medical scanners for assessing illness and injury are becoming increasingly commonplace. Diagnosis, where two visitors work together as doctors to diagnose and treat an ill patient. The experience aims to foster social interaction and raise awareness of new opportunities in biomedical technologies. 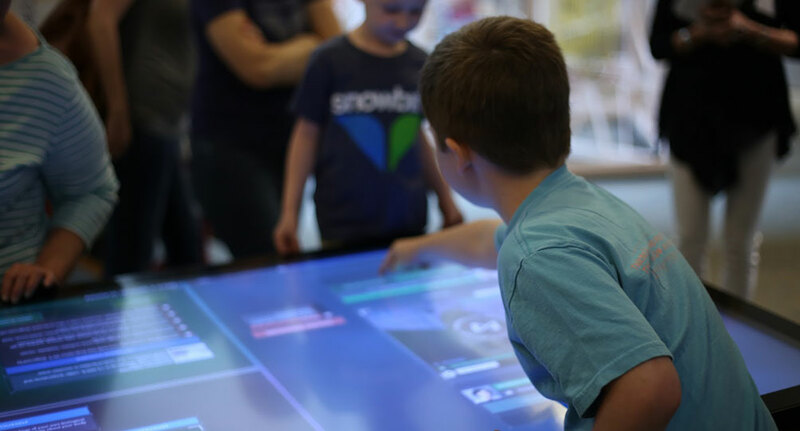 When complete, the exhibit will be provided to five US science centers free of charge. Visitor evaluation plays a key part in Ideum’s approach to exhibit design. Our iterative prototyping relies on watching people use early versions of exhibits, discussing features and functions, and gathering feedback on what works and what needs tweaking. 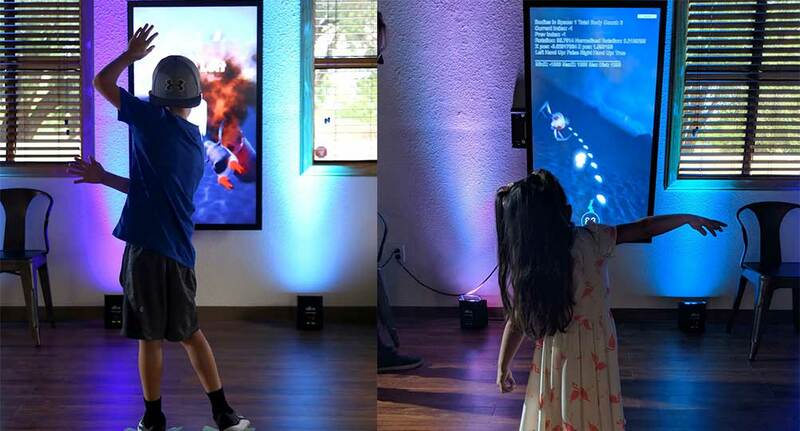 We were honored that staff from Explora, Albuquerque’s internationally recognized hands-on science museum, were enthusiastic about working with us to provide a real-world testing venue for this experience, and we plan on future research collaborations in the future. We’ll provide updates as the project continues in future blog posts. Stay tuned! 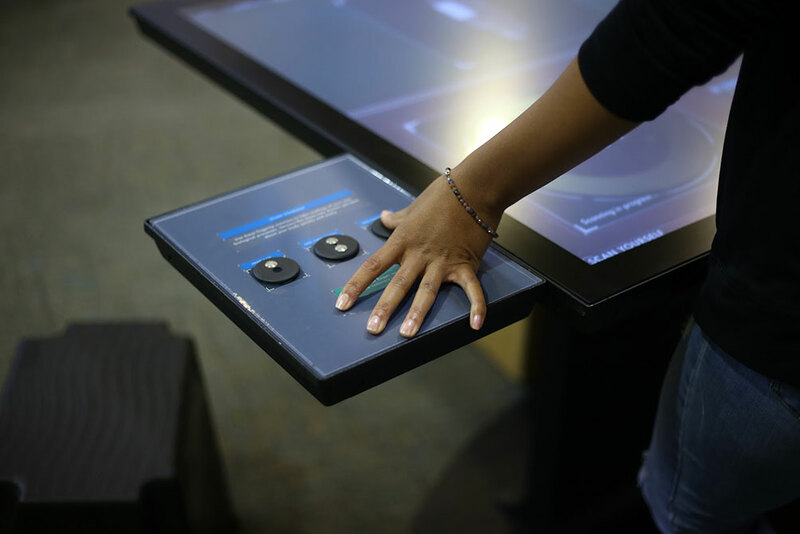 The custom designed touch table features sensor units to measure heart rate, skin conductivity and skin temperature. Ideum team members were present to gather observations and information to improve the visitor's experience. 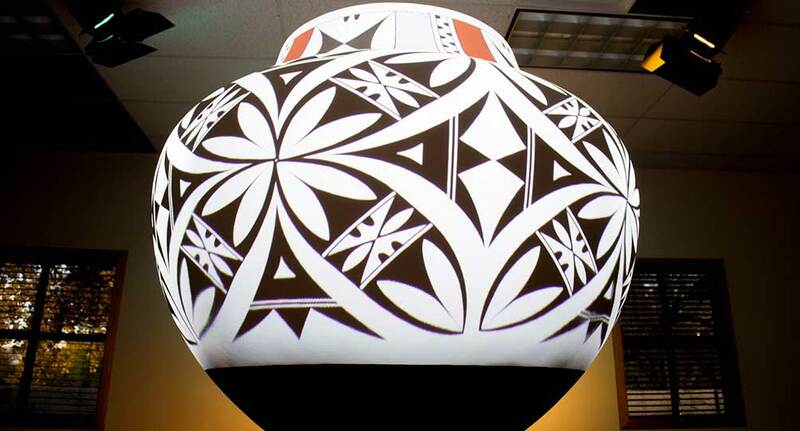 XPRIZE’s exhibits will feature a custom color and the new base that will incorporate LED lighting.